Foreign Minister Mohammad Javad Zarif fires back at his American counterpart, Mike Pompeo, who had earlier claimed that the United States would hold Iran to account for attacks on American targets in Iraq. 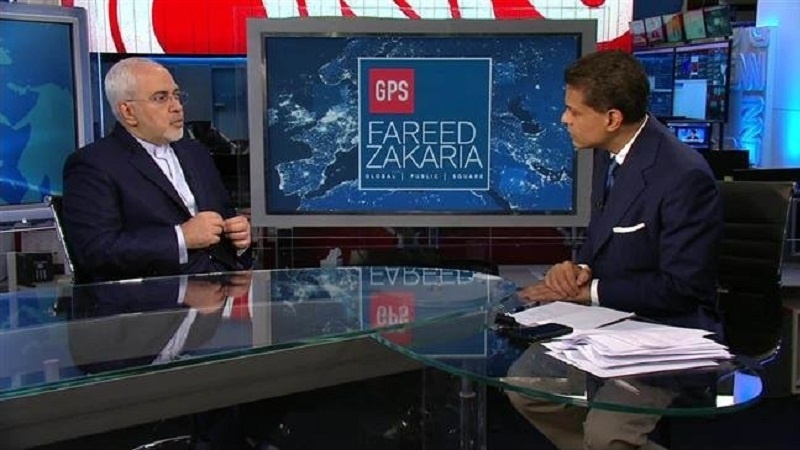 Speaking on CNN’s “Fareed Zakaria GPS” on Sunday, Zarif denied US allegations that American interests in the Arab country were facing “increasing threats” from the Islamic Republic. “We of course have influence in Iraq but that does not mean we control people in Iraq, as the United States doesn’t control people in countries with whom it has good relations,” Zarif said. “Mr. Pompeo and [White House National Security Adviser] Mr. Bolton, instead of making these irrelevant threats that would produce no positive results, need to look at their own policies,” Zarif said. The United States announced on Friday it would effectively close its consulate in Basra “following increasing threats from Iran and Iran-backed militia, including rocket fire,” Reuters reported. The top Iranian diplomat also said that the Iranian Consulate General’s building was also destroyed in Basra earlier in September, but Iran quickly resumed diplomatic mission at a new facility.